Hello there, I will say it. 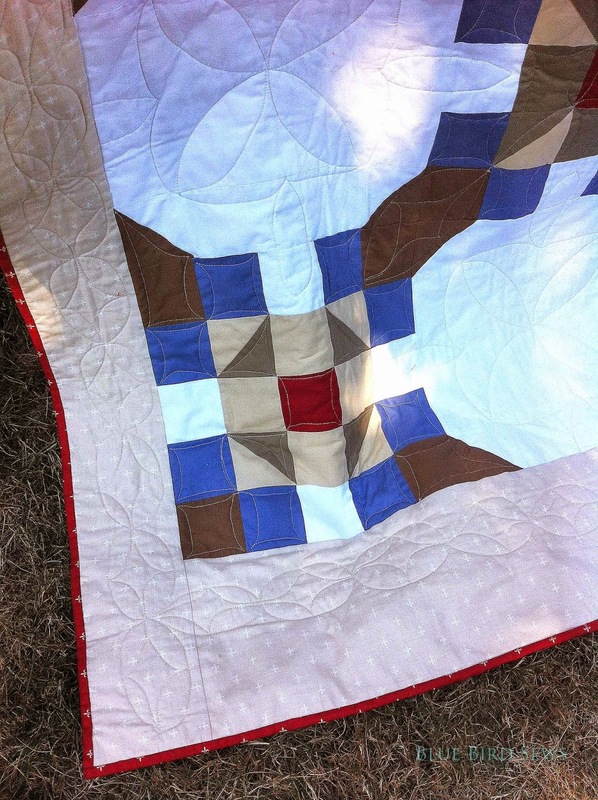 It has been a while since I sat to write a blog post about my quilty endeavors. 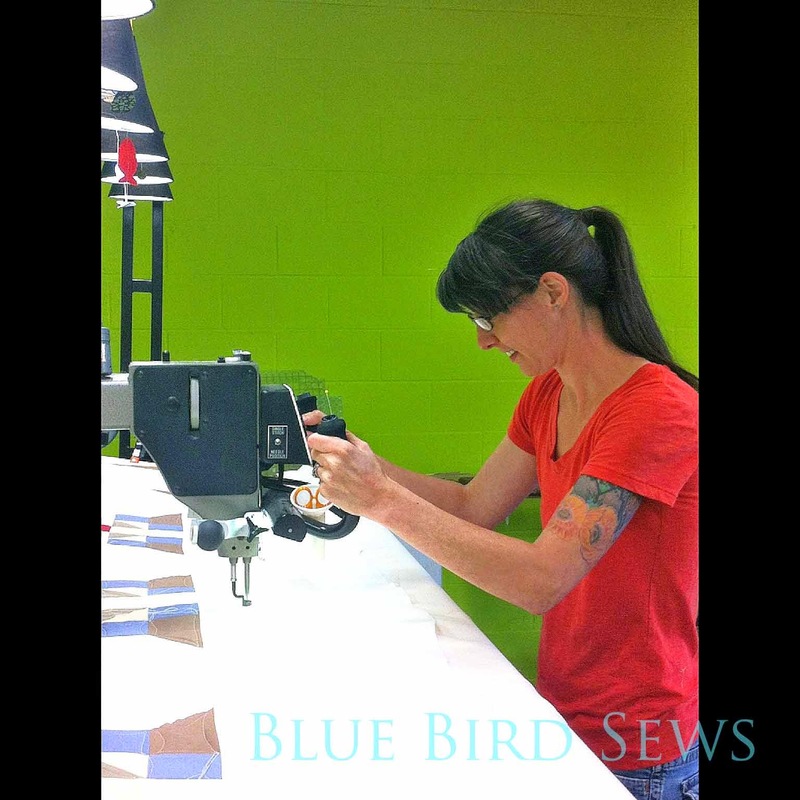 It is too much fun to just sew and there has been much to be sewn! Lots of quilts got finished and I hope to share them all in due time but the first and most rewarding was the quilt I made for my mother-in-law that she commission me to design and make. It started last year she asked me to make her a queen sized quilt for her beautiful Amish sleigh bed. I happily accepted and we picked out a basic pattern (she was drawn to an Irish chain) and then we went to Fabric Depot and selected a palate of blue, green, red and tan. I choose the white to make the other shades pop. 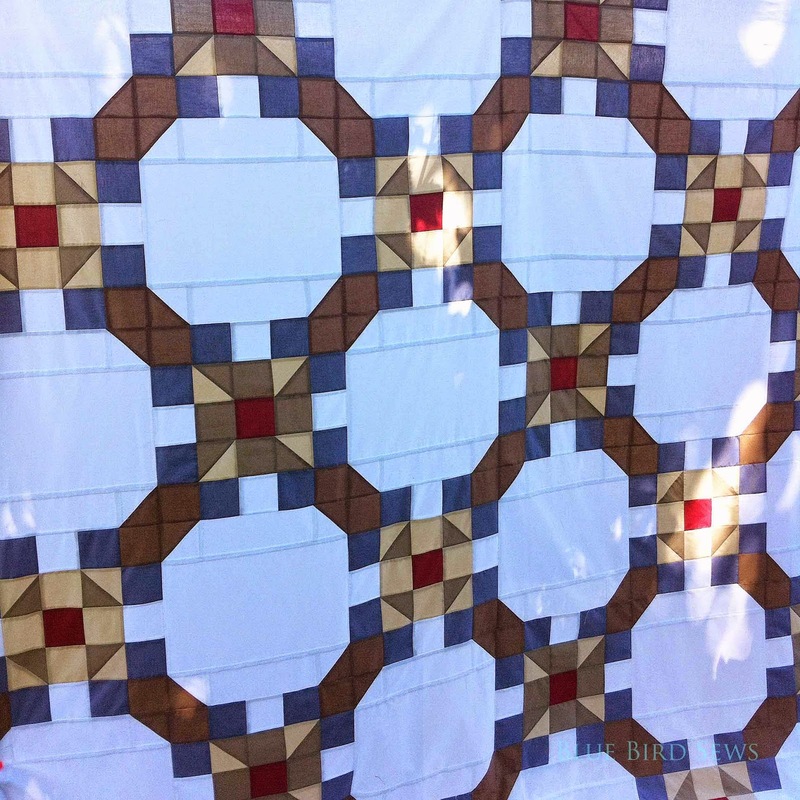 To design the quilt I use a very basic program called Quilt! 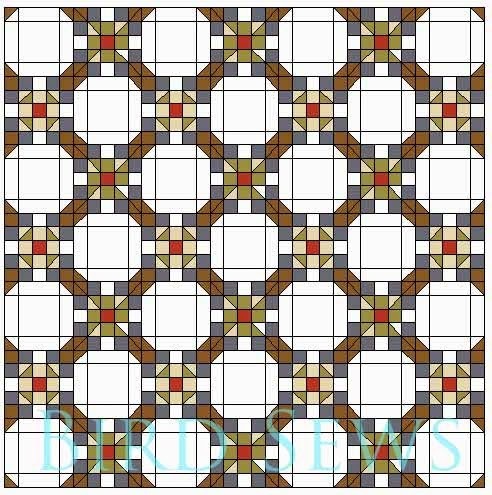 1-2-3, it allows you to form a very traditional layout with blocks, sashing and borders. 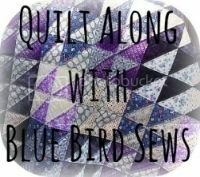 Once you have a layout you can select blocks to put in the quilt and then it gives you a cutting guide to make the block. 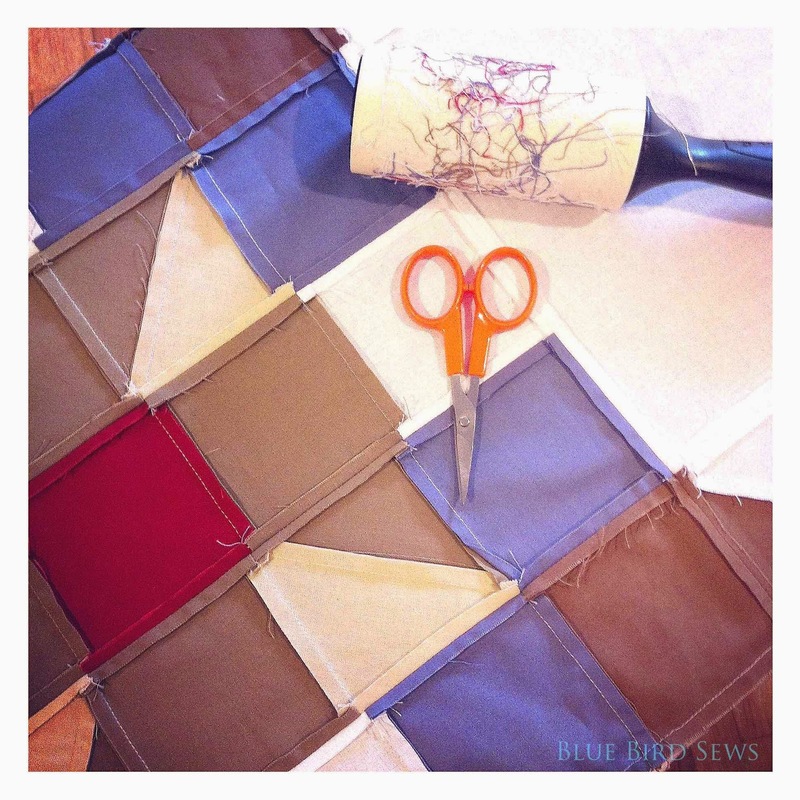 Very simple but handy for designing and getting the quilt math right! 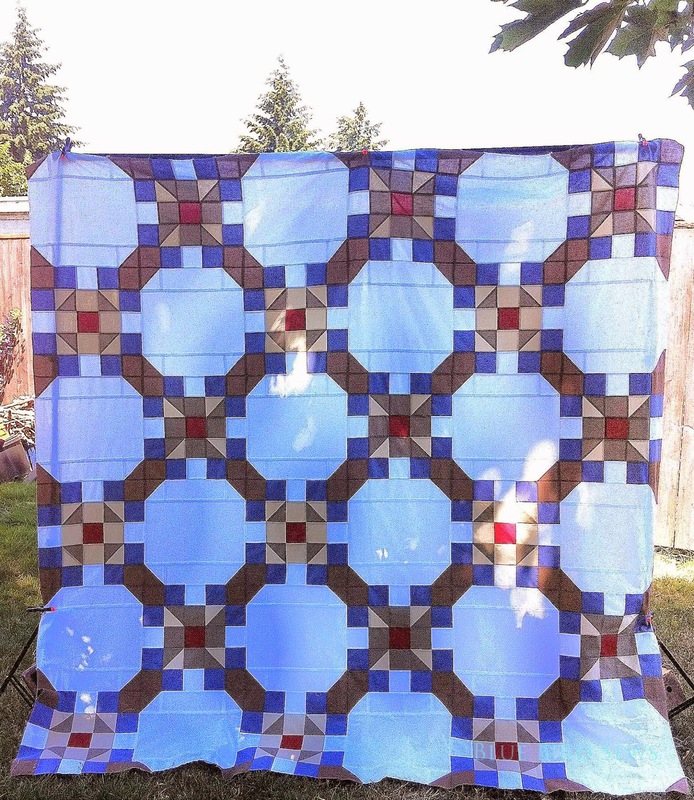 I slowly sewed the blocks together until I had a 90"x83" quilt top! The backing for the quilt was picked out on our trip to Fabric Depot but when I went there to buy it they didn't have the 9 yards I needed for a solid backing. Luckily the good folks at Fabric Depot ordered me up a new bolt. But before I could quilt it I had to de-thread the back. Necessary evils. Like flu shots or DMV stuff. 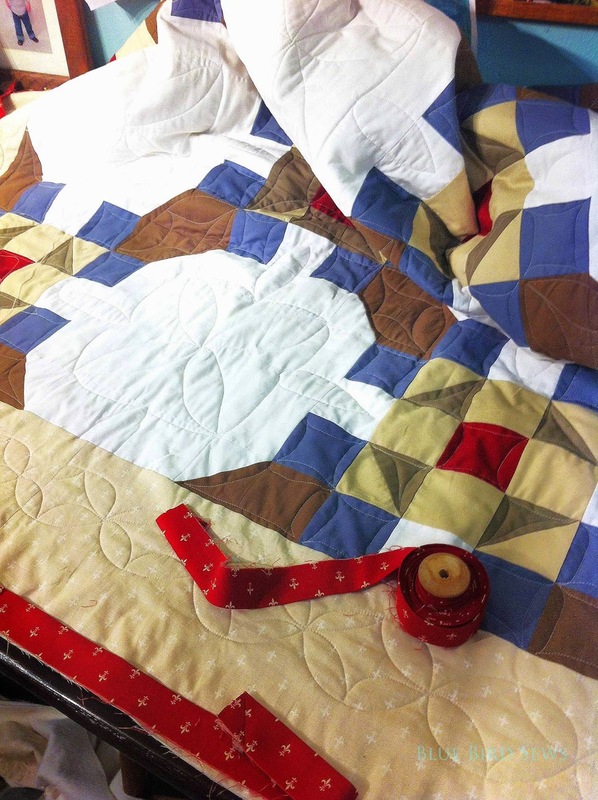 Quilting a gigantic quilt like this was not gonna happen on my trusty Viking 830. Another stroke of luck was that my wonderful friend and guild mate Nancy just happens to own an amazing quilting studio where I was able to rent time on a long arm machine! That was an experience I will not forget! Nancy helped me load it onto the quilt frame and I was ready to go! When I went in to quilt - I had a plan. 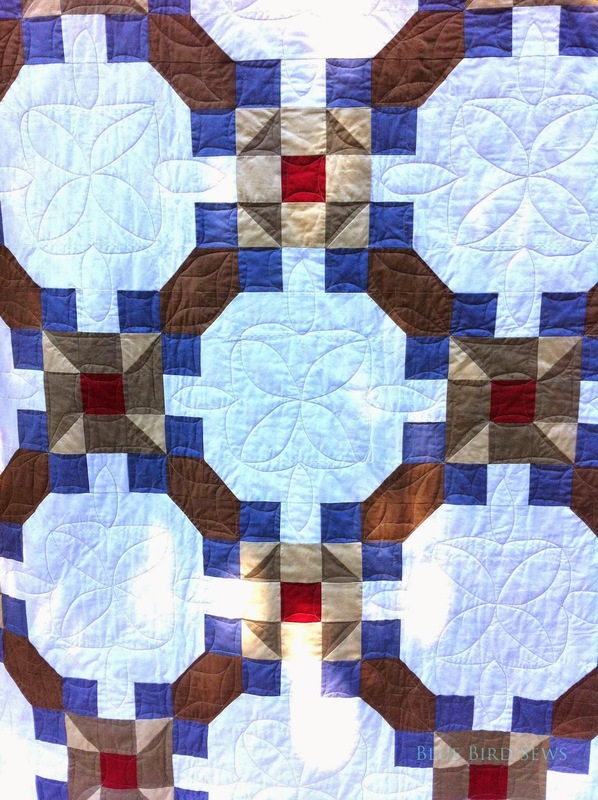 I had been researching quilting patterns and found one that fit the shape of the quilt white space and went well with a simple corner to corner filler pattern for the rest of the blocks. 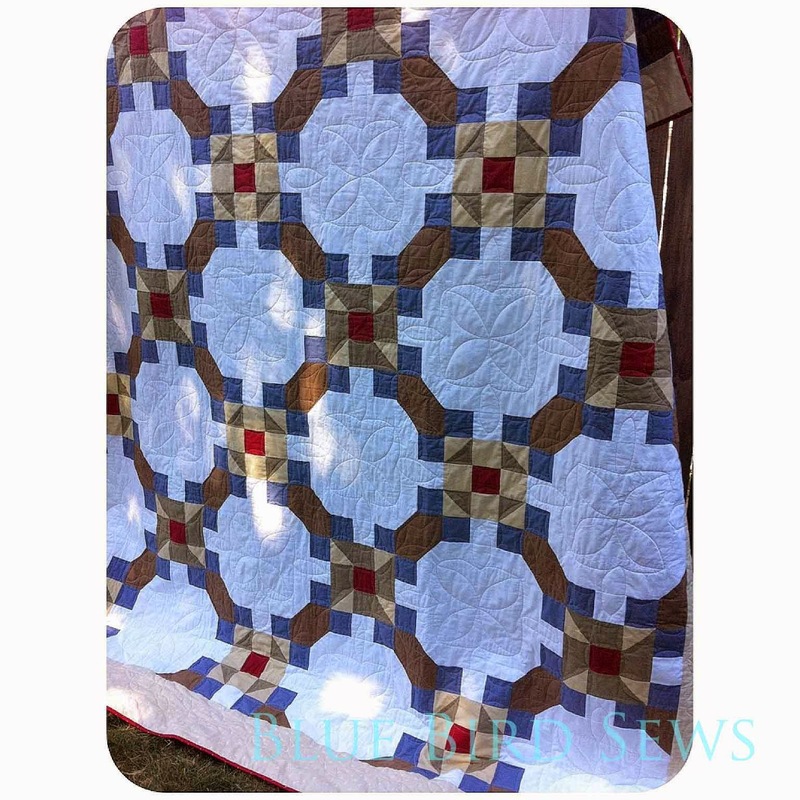 I really wanted those white middle blocks to shine in the quilting. I think I got it. My side fillers are really fun to, they remind me of 1950's future star shape. I quilted it in 5 hours, just before my MIL's plan landed at PDX. I hurriedly made binding for it - in that great red French General by Moda - and spent our vacation with her stitching the binding down here and there. I think she saw how much time goes into a quilt. It is mind boggling what we do sometimes. But each stitching is worth the results. She took it back home with her on the plane to NY and it now lives in her bedroom on that beautiful bed keeping her and her man nice and warm. oh man what a great story of how it gets made and how much time it takes... I think some quilters dont even keep track. nice job it looks great!